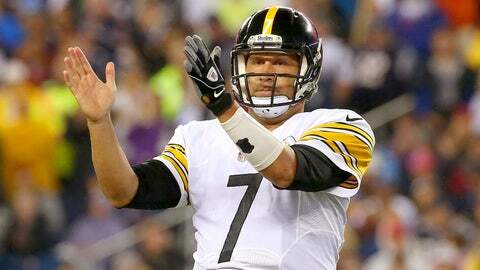 Ben Roethlisberger's biggest fan may not even be human, and he has his own Twitter account. First we had ‘Baby Ben’ the cow, now we have Lil’ Ben the action figure. While Steelers quarterback Ben Roethlisberger rehabs from his knee injury, Lil’ Ben is extending his moral support via his Twitter handle @Lil_Ben_7, complete with a brace on his left knee. Lil’ Ben is also staying prepared just in case he gets the call to play. He made it to the home opener to cheer on his favorite player, even getting a chance to touch the grass with his plastic cleats. Lil’ Ben tried to order a jersey of one of his offensive lineman, but his size wasn’t available.